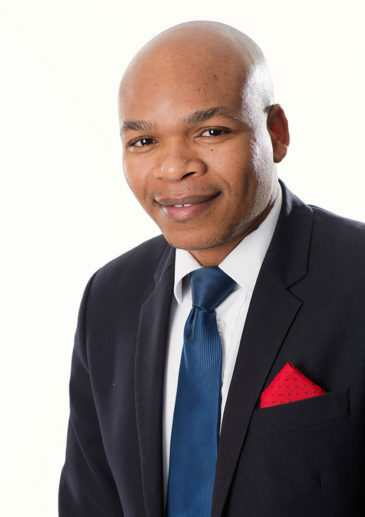 Xolani Nyali is a partner in our Cape Town office Corporate Department and a member of the Competition Practice. Xolani advises clients on a variety of competition law matters including merger notifications, behavioral matters and frequently assists clients in developing competition law compliance programmes. Xolani has experience across a broad range of business sectors and industries, including property, construction (cement), financial services, private equity, technology (including fintech), transport (air, road and sea) and the motor vehicle industry. Xolani has a keen interest in the competition law aspects of disruptive technologies and joint ventures. Xolani also has experience in competition law in other African countries, advising clients in both merger and behavioral matters in diverse jurisdictions including Botswana, Kenya, Namibia, Tanzania and COMESA. Xolani is a member of the Cape Law Society’s Special Committee on Competition Law. He has also commented on the merger guidelines in COMESA and Kenya, and the rules of procedure in Kenya. Xolani has B.Com and LLB degrees from Rhodes University and an LLM from the University of the Western Cape. Assisting Komatsu in the South African merger control process in its acquisition of mining equipment manufacturer, Joy Global, Inc. Assisted China National Agrochemical Company with the African merger notifications required for the acquisition of Syngenta AG. In Africa the transaction was notified in South Africa, Kenya and COMESA. Assisted Standard Industries in its takeover offer for Braas Monier Building Group S.A. Acted for Platform Speciality Products Corp. on the African competition law aspects of its acquisition of Arysta LifeScience Limited, approved by the COMESA Competition Commission and by the competition authorities in Namibia, South Africa and Tanzania. Advised on the competition law aspects of the largest equity deal in Kenya and East Africa in 2016, involving the equity investment of USD 140 million into ARM Cement Limited by the CDC Group. Acted for the East Africa Cement Producers Association in its successful defence before the Competition Authority of Kenya. Advised on the Kenyan and COMESA competition law aspects of Old Mutual’s acquisition of Two Rivers Mall, the largest shopping mall in East Africa. Xolani was recognised by Who’s Who Legal 2018 as a Competition Future Leader in the Non-Partners category. Advised on the AB InBev/SABMiller matter which has been nominated for the Global Competition Review (GCR) Awards 2017 Matter of the year: Merger control, cartel, unilateral conduct, litigation or any other competition matter worldwide. Creative, strategic and innovative work by teams of in-house and external lawyers and economists. Recognised in Who’s Who Legal: Competition 2017- Future Leaders: Recognition of the foremost practitioners in this area aged 45 and under as at 31 December 2017.